Want a new monitor for gaming but don’t want to break the bank? Fear not, because we’ve chosen the absolute best gaming monitors under 150 USD which will provide you with a smooth performance and immersive image quality for a fair price. In case you can afford something more expensive, make sure to check our best gaming monitor under 200 and/or under 300 buying guides where you will also find some outstanding 144Hz and ultrawide monitors. These are the four best PC monitors under 150 USD for gaming as well as other everyday activities such as web-surfing, watching movies, etc. Make sure to follow our guidelines to ensure that you don’t overpay for features that you won’t need. 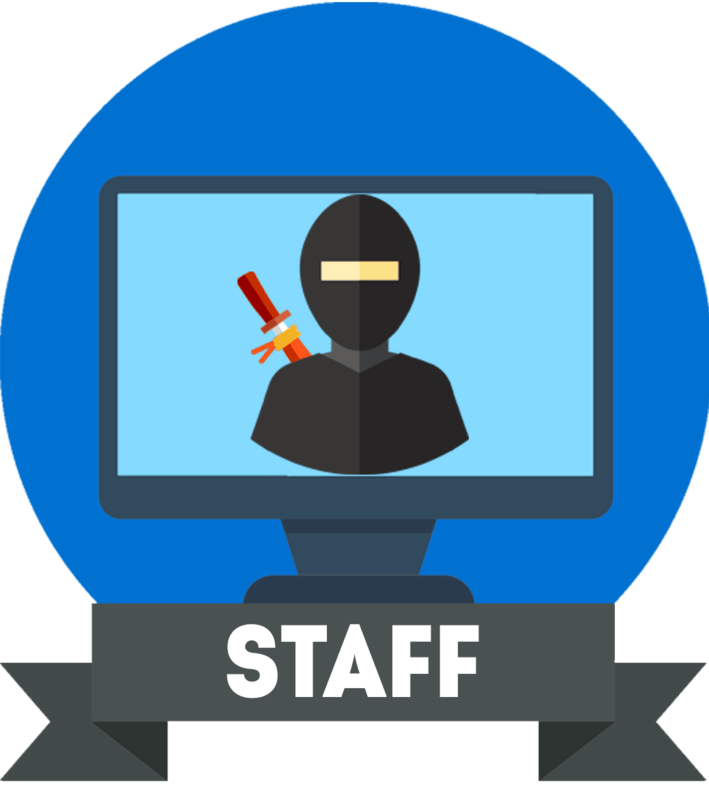 All of the monitors on the list were thoroughly tested and reviewed, and we guarantee they are the best picks in their corresponding categories. The LG 24MP59G is hands-down the best $150 monitor you can get for gaming; in fact, it’s also arguably the best monitor under 200 USD for 2019! 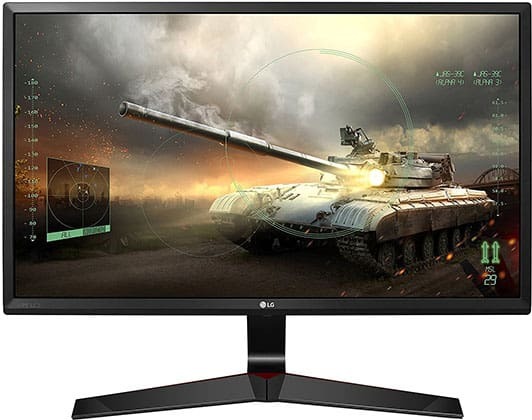 Since there isn’t a 120Hz or 144Hz monitor under 150 USD available, you will have to settle for 75Hz of the LG 24MP59G – without overclocking. 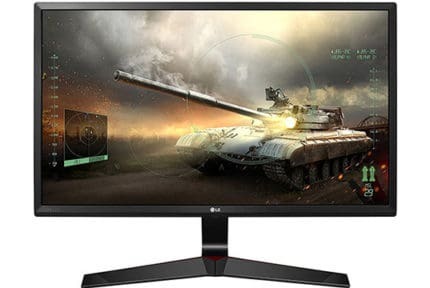 This gaming monitor will offer you everything you can possibly get at this price point: a 24-inch screen with the Full HD resolution for a crisp image quality, an IPS panel for vibrant colors, wide viewing angles, and a fast response time speed, and finally, a 75Hz refresh rate for a little boost in motion clarity in comparison to the standard 60Hz monitors. The fact that you can’t get a higher resolution than Full HD 1920×1080 on this budget isn’t all that bad. 1080p is still the most widespread and standard resolution; what’s more, it provides a sharp and clear picture on 24-inch monitors and it’s not very exacting so you’ll be able to crank up the picture settings and maintain high frame rates. Moving on, the IPS panel of the LG 24MP59G delivers accurate, consistent, and striking colors with 8-bit color support and over 99% sRGB color gamut covered. The 178-degree viewing angles ensure that the picture will remain flawless regardless of the angle you’re looking at the screen. Lastly, the 5ms response time speed may not be as quick as that of certain TN panels with only 1ms, but it’s enough to eliminate most of the ghosting in fast-paced games. Furthermore, you get a plethora of gaming features as well including AMD FreeSync and 1ms Motion Blur Reduction technology. 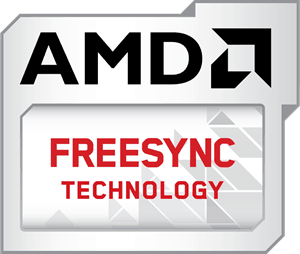 FreeSync allows users with compatible AMD graphics cards to synchronize the monitor’s refresh rate with the graphics card’s frame rate and thus eliminate screen tearing and stuttering. FreeSync also works with compatible NVIDIA graphics card (GTX 10-series, RTX 20-series, or newer) without any issues. This technology works similarly to VSync but since your monitor can change its refresh rate dynamically, there’s no input lag or other penalties. Alternatively, you can use the motion blur reduction technology which via backlight strobing removes ghosting of fast-moving objects in games for an even better motion clarity. Note that you can’t use FreeSync and Motion Blur Reduction simultaneously. The LG 24MP59G monitor has additional features useful for gaming such as: ‘Black Stabilizer’ which increases visibility in dark games by brightening up the details and ‘Dynamic Action Sync’ that bypasses certain image processing to further reduce input lag. Additionally, you can place a customizable crosshair on your screen for better aim in FPS games. There are also pre-calibrated picture presets with optimal settings for FPS and RTS genres. One thing that the LG 24MP59G does lack though is VESA mount compatibility which means that if you wish to place the screen on a wall or a mounting arm, you will need to purchase a fitting adapter. You can only tilt the screen as far as ergonomics are concerned. Available connectors are as follows: an HDMI, a DisplayPort, and a VGA. FreeSync works over both HDMI and DP with a 40-75Hz dynamic refresh rate range. For NVIDIA cards, FreeSync works over DP only with the same range. Overall, it’s the best 24-inch 1080p monitor under 150 USD. 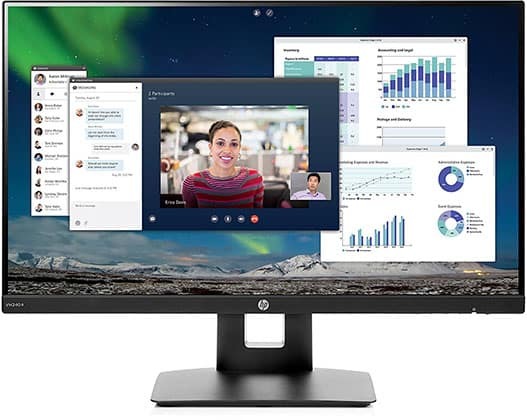 If you don’t care for the 75Hz refresh rate, AMD FreeSync, and 1ms MBR of the LG 24MP59G, then you should definitely go for the HP VH240a instead. You will save a bit of money and also get some extra features the LG model lacks such as thinner bezels, an ergonomic stand, and built-in speakers! As far as the picture quality is concerned, you aren’t losing anything by going with the HP VH240a instead of the LG 24MP59G. In fact, the VH240a uses LG’s IPS panel with the same 178-degree viewing angles, 5ms response time, 1080p resolution, and 8-bit color support. The lower refresh rate may be a deal breaker for some and totally irrelevant to others, but keep in mind that the difference between 60Hz and 75Hz isn’t particularly noticeable, some may not even notice it. If you really want a smooth and immersive gameplay for competitive FPS games, we highly advise you save at least an extra $50 and get a 144Hz monitor under 200 USD. If you are a photographer or a programmer, you will appreciate the monitor’s ability to pivot the screen by 90 degrees. Other ergonomics include -5/30 degree tilt, up to 100mm height adjustment, 180-degree swivel to the left and right, and VESA mount compatibility. The VH240a features a 3-side borderless design, so it’s ideal for a multi-monitor setup. Connectivity includes an HDMI and a VGA port as well as the headphones jack and two 2W integrated speakers for basic sound output. On balance, it’s the best gaming monitor under 120 USD. In case you want a bigger display for gaming, the Acer KG270 is your best choice. However, we recommend it for gaming, and gaming only, since the Full HD resolution on a 27-inch screen results in a low pixel density meaning that small items such as text will be smudgy and fuzzy. While the low pixel density is negligible in gaming and basic web-surfing, it’s not very tolerable if you read and type a lot or use your monitor for work. The further away you sit from the screen, the less noticeable the lack of pixels will be, so the Acer KG270 is ideal for console gamers as well. The Acer KG270 monitor features a TN panel; this means that you won’t have as rich colors as you’d with other monitors in this guide, but that’s the toll you have to pay for a larger screen at this price range. Furthermore, TN panels have the viewing angles of 160° vertically and 170° horizontally, so the picture will shift in color and contrast when you look at it from certain off-angles. As long as you are directly in front of the screen, this won’t be an issue though. TN panels do have an advantage over the other panel technologies and that is the response time speed of only 1ms which guarantees ghosting-free fast-paced gaming. The Acer KG270 also supports AMD FreeSync over HDMI making it the best gaming monitor for under 150 USD if you have an Xbox One. Although the FreeSync range is 48-75Hz, you may be able to tweak it closer to 30-60Hz range for console gaming using the Custom Resolution Utility. 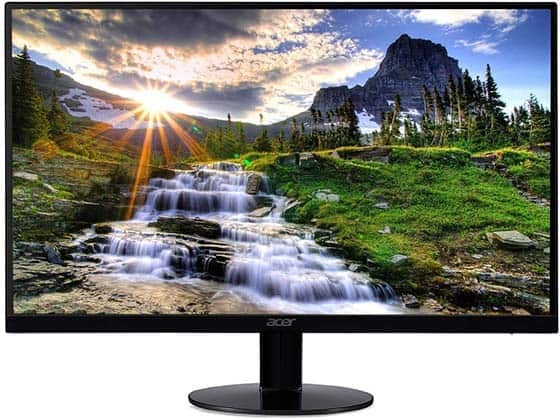 In addition, the Acer KG270 27-inch 1080p gaming monitor offers two HDMI and a VGA port, so you can have both your PC and a console simultaneously connected to the display and simply change the input source when you want to swap between the devices, without fiddling with cables. Ergonomics include VESA mount compatibility and -5/15 degree tilt. There are also two 2W built-in speakers. If you want to spend the least money possible and still get a reliable monitor with a great image quality that’s great for gaming, the Acer SB220Q is undoubtedly the best gaming monitor under 100 USD. The Acer SB220Q is the cheapest monitor you’ll find with an IPS panel and Full HD resolution. And as if that weren’t enough already, the display also features a slim and stylish design as well as AMD FreeSync up to 75Hz! Thanks to its IPS panel, you can expect as vibrant and punchy colors as you’d get with the other IPS monitors on this list. You also get the same 178-degree wide viewing angles and a quick 4ms response time speed. Furthermore, since the monitor’s size is 21.5″, the 1080p resolution will provide you with a higher pixel density than on the other 24-inch models. 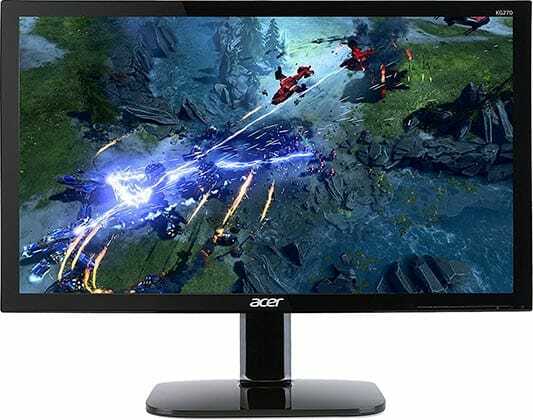 So, the image quality will be even sharper and clearer on the Acer SB220Q which is why it’s the best budget gaming monitor under $100. Additionally, the Acer SB220Q cheapest FreeSync gaming monitor also offers additional useful features including customizable crosshairs, ‘Black Boost’ for better visibility in dark games, and pre-calibrated picture presets including Racing, Sports, and Action modes. Unfortunately, the monitor lacks VESA mount compatibility and it’s tilt-only. Connectivity includes a VGA port and an HDMI 1.4 port for FreeSync with a 48-75Hz dynamic range. Whether you are looking to replace an older monitor or buy an extra monitor for your setup, the Acer SB220Q is the best bang for the buck if you are on a tight budget. Hopefully, we’ve helped you pick the best gaming monitor under 150 USD for your needs and budget. If you are still undecided, you can’t go wrong with the LG 24GM59G, especially if you have a FreeSync compatible graphics card. In case you aren’t interested in gaming features, but would rather have a cooler and more versatile design, then the HP VH240a is for you. Lastly, if you’re on a really tight budget, the Acer SB220Q will still provide you with a great image quality and performance for gaming. And if you want a 27-inch monitor, go for the Acer KG270 but keep in mind the downsides of its TN panel and low pixel density.